We are a leading Manufacturer of tie rod from Delhi, India. 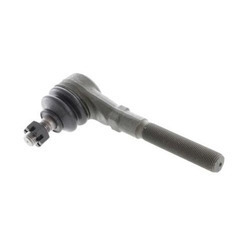 We hold expertise in offering precisely engineered Tie Rod to our valuable clients. The offered rod is manufactured in sync to industry quality standards using premium quality raw material and progressive technology under the guidance of adept professionals. Moreover, we offer this rod in variety of designs and sizes at pocket friendly prices. Our quality examiners test this rod against different quality measures.